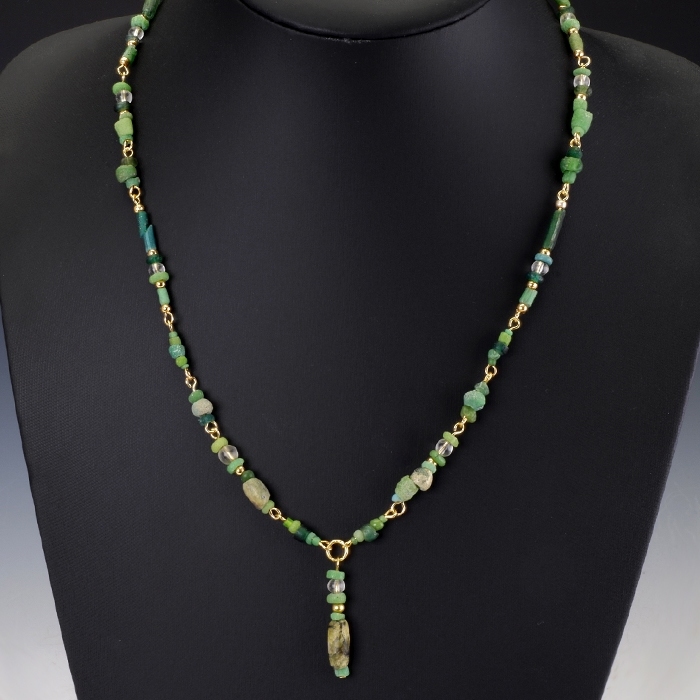 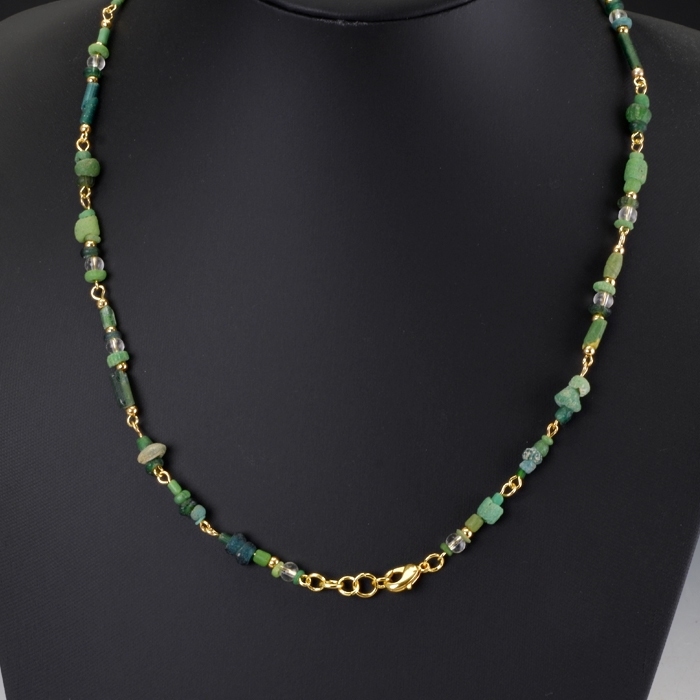 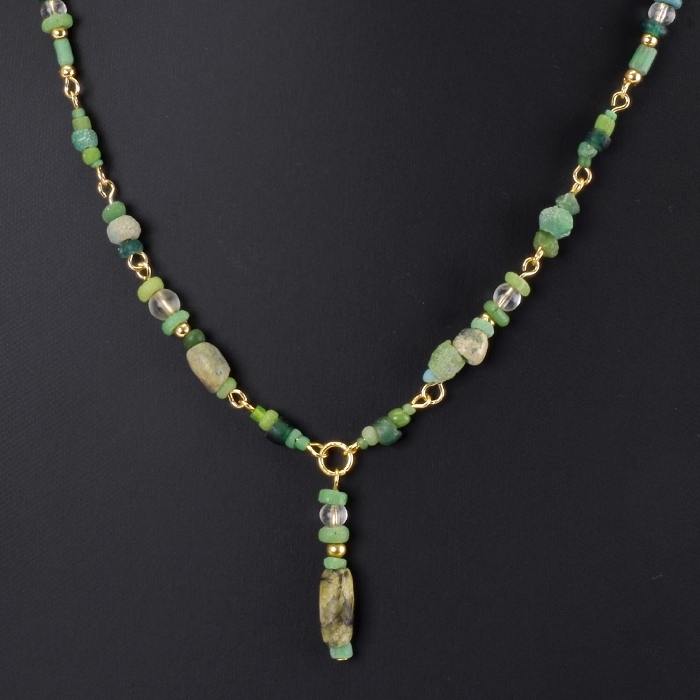 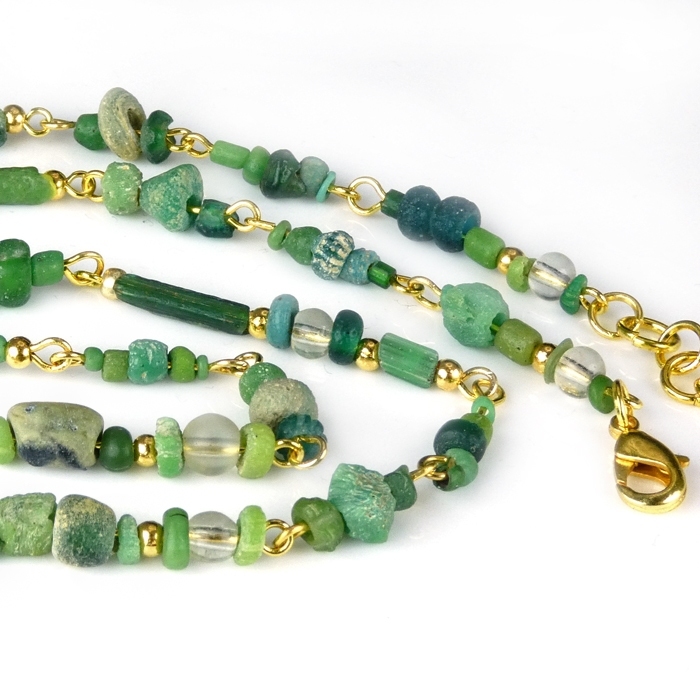 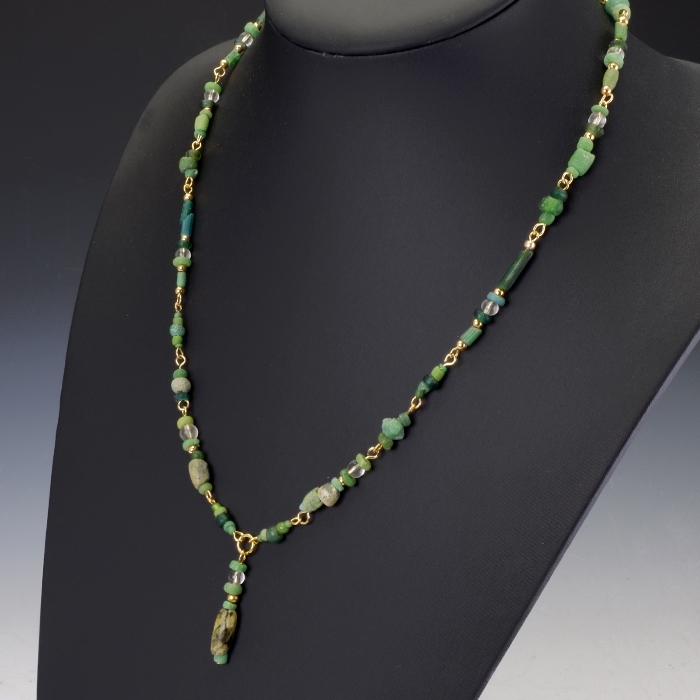 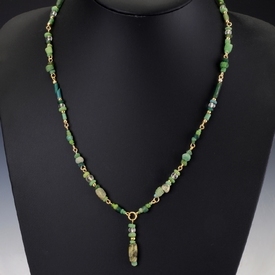 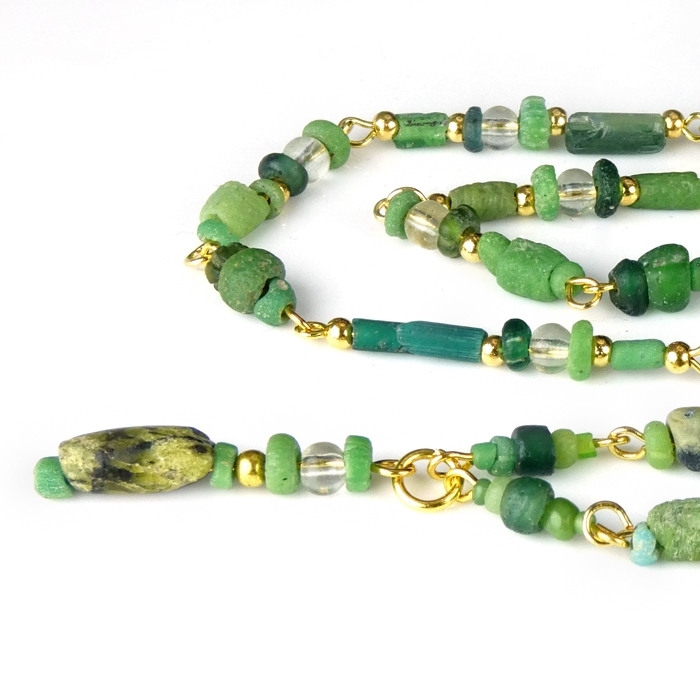 Necklace with Roman green glass beads with a beautiful drop pendant. 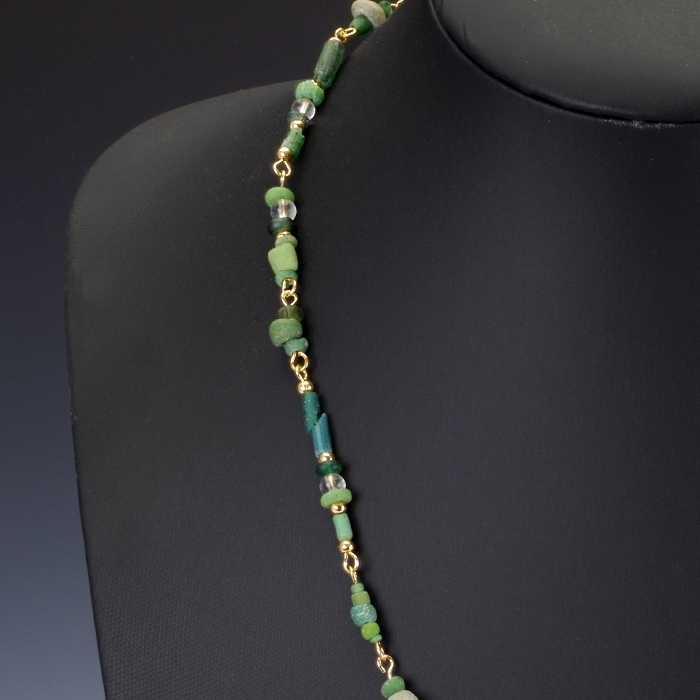 Restrung using authentic Roman glass beads with decorative spacer beads and wearable (clasp). 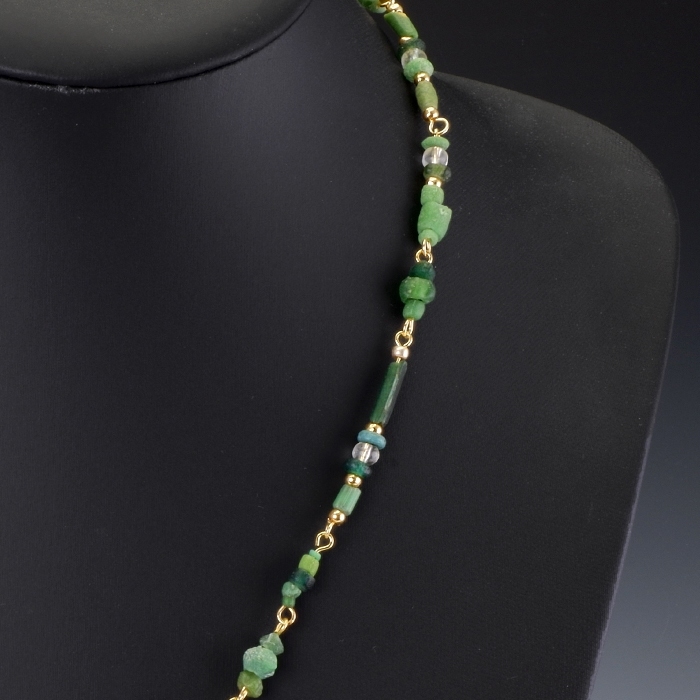 The green bead in the last detailed picture is ia a composition of two similar but separate pieces (design purpose).